Robert J. Dignam is an experienced civil litigation and appellate lawyer in the areas of employment and labor law, and many other areas of law. Mr. Dignam has attained an AV Preeminent Rating from Martindale-Hubbell, the highest available designation for ethics and legal ability. 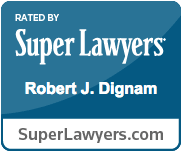 Mr. Dignam has been annually recognized as an Indiana Super Lawyer in the area of Employment and Labor Law. Mr. Dignam has represented employers in state and federal court in Indiana, in federal courts in Illinois, and before the Equal Employment Opportunity Commission, the National Labor Relations Board, and other employment law agencies. He has argued cases for employers before the Seventh Circuit U.S. Court of Appeals, and has represented an employment law client before the U.S. Supreme Court. Mr. Dignam also serves as lead negotiator for management in labor negotiations. He has assisted multiple clients in reaching collective bargaining agreements with the representative union. Mr. Dignam also assists clients with arbitration matters. Mr. Dignam has presented numerous continuing legal education seminars on labor and employment law topics, including at the request of the Indiana Civil Rights Commission, the Lake County Bar Association, and private continuing legal education organizations. He has also authored articles addressing various areas of employment law. 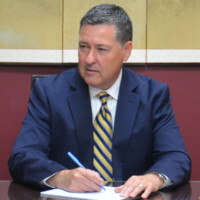 In 2018, Mr. Dignam published a Law Review article advocating for a change in an area of labor law for the benefit of employers that has now occurred. Mr. Dignam regularly serves as a civil mediator. 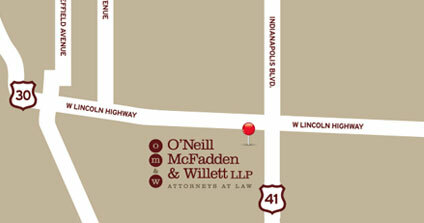 He has conducted mediations in numerous civil matters in a wide variety of cases pending in state and federal courts. Mr. Dignam has also presented multiple continuing legal education seminars about the mediation process, including the nuances of mediating employment law disputes. He has helped teach future mediators at the Indiana University Robert H. McKinney School of Law, and for many years, Mr. Dignam served as an adjunct professor at Purdue University Northwest, teaching students employment law and human resources concepts, and as well as communication skills and dispute resolution techniques applicable to the workplace. Mr. Dignam is a member of the Alternative Dispute Resolution Council of the Indiana State Bar Association. He also serves, at the request of parties in civil litigation, in the role of arbitrator. Finally, Mr. Dignam frequently serves as a medical review panel chairman. 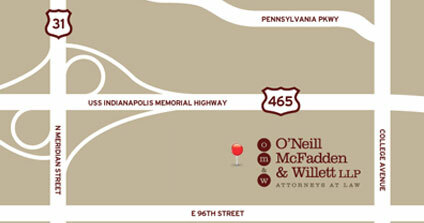 In this capacity, he guides the parties through the panel process in accordance with the Indiana Medical Malpractice Act. Simpson v. Franciscan Alliance, 827 F.3d 656 (7th Cir. 2016) ) – Affirming summary judgment for employer in alleged race, gender, age and disability discrimination case. Hill v. Sisters of St. James Hospital and Health Centers, 2013 WL 593954 (N.D. Ill. 2013) – Summary judgment for employer in alleged race discrimination and FMLA retaliation case. King v. Sisters of St. Francis Health Services, 2012 WL 165809 (N.D. Ill. 2012) – Summary judgment for employer in alleged race discrimination and retaliation case. Syfu v. Quinn, 826 N.E.2d 699 (Ind. Ct. App. 2005) – Reversed and remanded with instructions to enter summary judgment for client in medical malpractice case based on failure of plaintiff to produce expert testimony to refute unanimous panel opinion. Stahl v. St. Anthony Medical Center, 2004 WL 1445937 (7th Cir. 2004) ) – Affirming summary judgment for employer in alleged gender discrimination case. Christian v. St. Anthony’s Medical Center, 117 F.3d 1051 (7th Cir. 1997); cert denied 118 S. Ct. 1304 (1998) – Affirming summary judgment for employer in alleged disability discrimination case. Lavery v. Southlake Center for Mental Health, 566 N.E. 2d 1055 (Ind. Ct. App. 1991) – Affirming summary judgment for employer in alleged wrongful discharge case. Graduate degree: Doctor of Jurisprudence, May 18, 1986; Valparaiso University School of Law, Valparaiso, Indiana. Undergraduate degree: Bachelor of Arts in Business Administration, May 23, 1983; Saint Xavier University, Chicago, Illinois. State of Indiana; United States District Courts for the Northern and Southern Districts of Indiana; United States District Court for the Northern District of Illinois; United States Court of Appeals for the Seventh Circuit; and United States Supreme Court. Indiana State Bar Association, Alternative Dispute Resolution Council Member of Indiana State Bar Association; Lake County Bar Association; Indiana Association of Mediators; and Society for Human Resources Management of Northwest Indiana.